Beijing-based artist Ru Yi is an avid collector of naturally eroded antique stones. 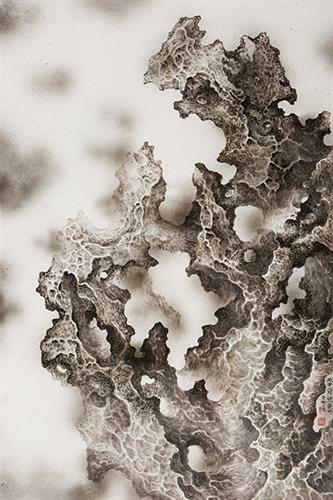 These decorative sculptures inspire his Chinese-ink paintings which are at once traditional and modern, mysterious and convincing, and unique and universal. Artist Demo and Reception: November 8, 5 - 6:30 p.m.